It’s no good, I tried to hold back, but I just had to share this ravishing new dahlia which has started to bloom at The Watch House. It’s called D. ‘American Dawn’. Sight of its luminous blooms is certainly enough to get my day off to a great start. From a bud of bright peony-pink emerge petals the colour of a summer sunrise. Of all the dahlias I’ve grown this season, D. ‘American Dawn’ is by far the strongest and healthiest, with many flowers yet to come. In a garden where plants have to be robust, loud and proud to be noticed, this is the perfect early riser. 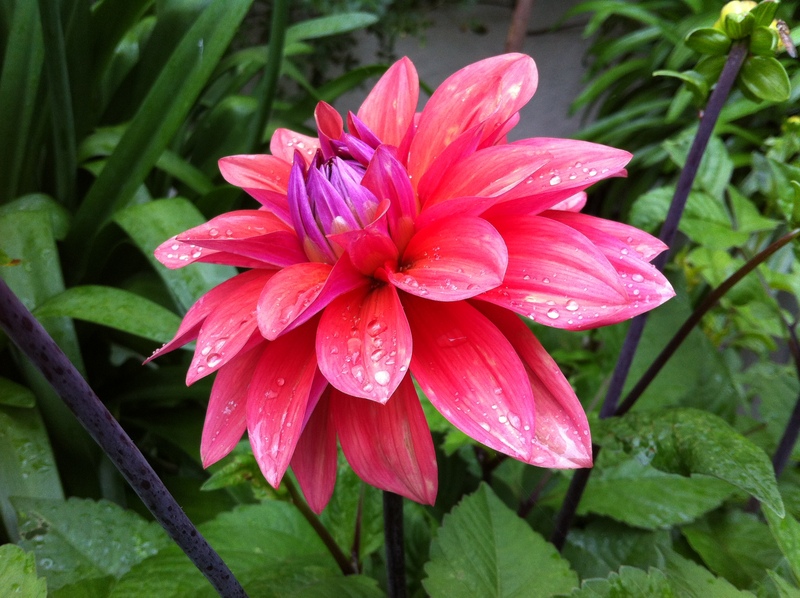 Dahlia ‘American Dawn’ is available from Sarah Raven and Crocus.co.uk in spring. Beautiful! Can you leave your bulbs in the ground over the winter? We have to dig ours up and bring them in. Well, mine are all in pots so they do go under cover, but in the south lots of gardeners, my dad included, will manage to overwinter dahlias successfully in the ground.